When caring for a child or loved one with special needs, it’s important to understand what resources are available to you, and what steps can be taken to provide quality care and financial security vital to your dependent’s lifetime needs. Plan for future medical, educational and housing needs for your dependent. Will your dependent need weekly/daily medical treatments? Will they need funds for college? Would they live in a group home or need their own space? Review beneficiary designations. To receive federal aid, dependents with special needs cannot have any assets in their name (cash, art, jewelry) worth more than $2,000. Check with close friends and family to see if they have designated your dependent to receive any inheritance from their estate – if they have, it’s important that they leave this amount to your dependent’s special needs trust (see Step 8). Have a family meeting. Get together to discuss everyone’s concerns and options for the future care of your dependent. This is also a good time to broach the beneficiary designation issue discussed above. Speak with a special needs financial professional and create a team of professionals to assist you. It’s important to pull together a support team that can help guide you through the variety of available options. The composition of the team may vary depending on your unique situation, but it should include an attorney, and perhaps a health professional and a school guidance counselor. Contact local nonprofit organizations for additional support. Nonprofits may be able to provide resources that can help with planning or that supplement the standard government-provided services. 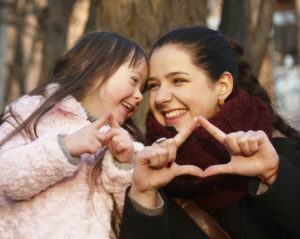 Start by contacting a nonprofit dedicated to your dependent’s special need. Apply for government benefits. Benefits like Medicaid and Social Security may help provide for your dependent’s needs in the form of medical treatments and supplies, equipment, financial assistance and more. Visit your local Social Security Office to find out what benefits your dependent may qualify for. Prepare your Last Will and Testament. A Will declares how you want your estate to be distributed and allows you to select a guardian for your dependent. It can prevent automatic asset distributions that might leave your dependent with special needs any assets in excess of $2,000, which would disqualify them for federal aid. Consider setting up a special needs trust. This allows caregivers to provide for their dependent’s care and quality of life, without disqualifying them for federal assistance. The money in the trust can be contributed gradually over the years, or the trust can be designated as a beneficiary of an inheritance or life insurance policy. Funds must be used to enhance the dependent’s quality of life, and can help to supplement standard services and benefits provided by government agencies. Apply for guardianship and conservatorship, if applicable. Caregivers must apply for a guardianship or conservatorship to maintain legal control over financial and healthcare decisions once a dependent reaches the age of 18. This can take up to a year in some states, so you may want to start this process early. There are different levels available, depending on the dependent’s needs. Prepare a Letter of Intent. Although not legally binding, this document is important for providing direction for the person or persons who will care for your dependent with special needs and should be stored with other vital documents, such as your Will. Thinks of it as a “letter to the caregiver” – it can cover day-to-day care routines such as what medical assistance is needed, as well as quality of life guidance. It’s important to remember that each family’s circumstances are unique, so caregivers should consider their situation carefully, and seek assistance with their own special needs planning.